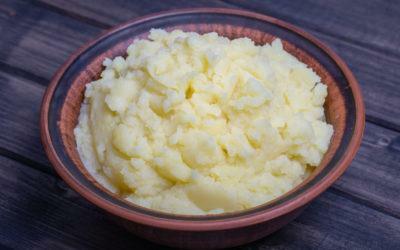 Combine cauliflower and potatoes in large saucepan; cover with water. Bring to a boil. Reduce heat; simmer about 10 to 12 minutes or until vegetables are tender. Drain. Add sour cream, chives, salt, and pepper to saucepan. Using potato masher, mash until blended. Exchanges per serving: 1/2 Bread/Starch, 2 Vegetable.